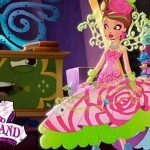 Hi Ever After High fans! A new adventure is right in the corner, and this time we are going to…Wonderland! Someone is planning a plot agains the Queen of Hearts, the mother of Lizzie Hearts, who lives in Wonderland which you may know from Alice in Wonderland story. 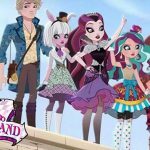 Lizzie and her friends want to help her mother, so they will have to find out how to go to Wonderland, a place which has always been separated from Ever After High. Then an unexpected magical twist will give them a little help. Would Lizzie and her friends finally help her mother? What is going to happen in the crazy world of Wondeland.. in a place where nothing is what it seems? Would they be able to rescue the Queen of Hearts? Discover the most epic adventure of the year of the students of Ever After High, this time in Wonderland!